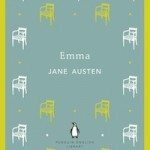 Running a book blog is no simple feat. There’s so much effort and hard work that goes into the content we create. It’s rather remarkable, especially considering how many of us do it out of pure love for books. However, it can also easily get frustrating and stressful. Let me share my story. 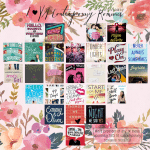 Months back, when this year was just at its start, I made a resolution to be a good, productive book blogger: publish share posts more often, work on a schedule, write more book reviews, promote effectively and just get my book blog seriously organized. Yeah, I was super ambitious like that. Unfortunately, I seriously failed my resolution. Only now am I realising why: I didn’t have a plan. 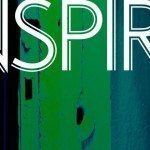 How could I make each of those goals of mine actually happen without one? This is despite the fact that I had multiple planners and schedulers. They just didn’t work. With this in mind, I’m taking action to turn things around and plan ahead for my book blog next year. 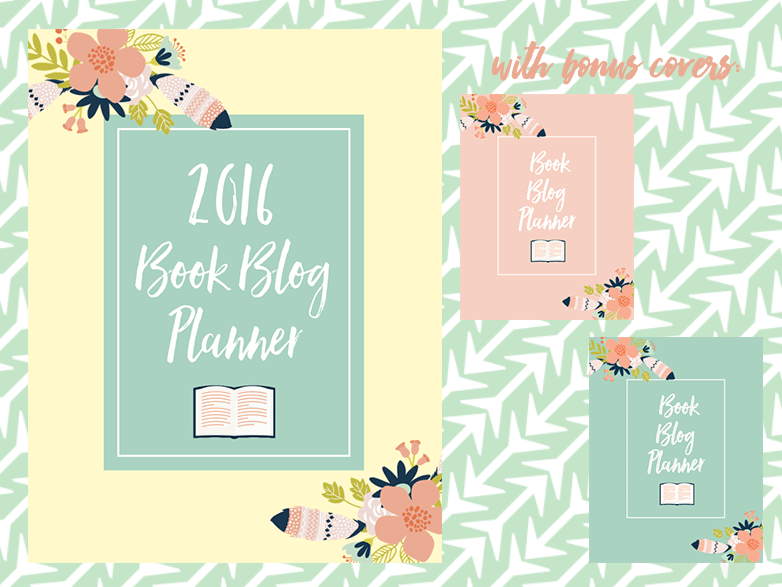 Thus, I created the 2016 Book Blog Planner. And it’s finally time to launch it! 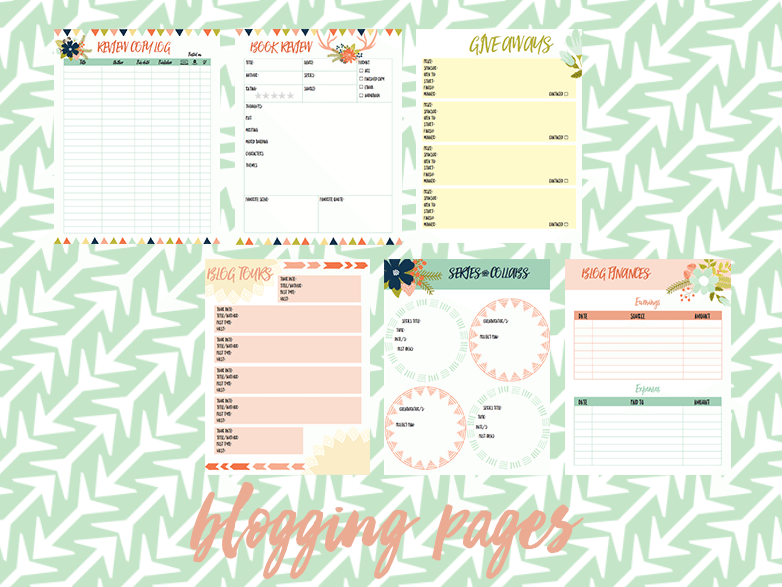 A printable instant download designed to inspire book bloggers to plan fabulously for their book blogging success. 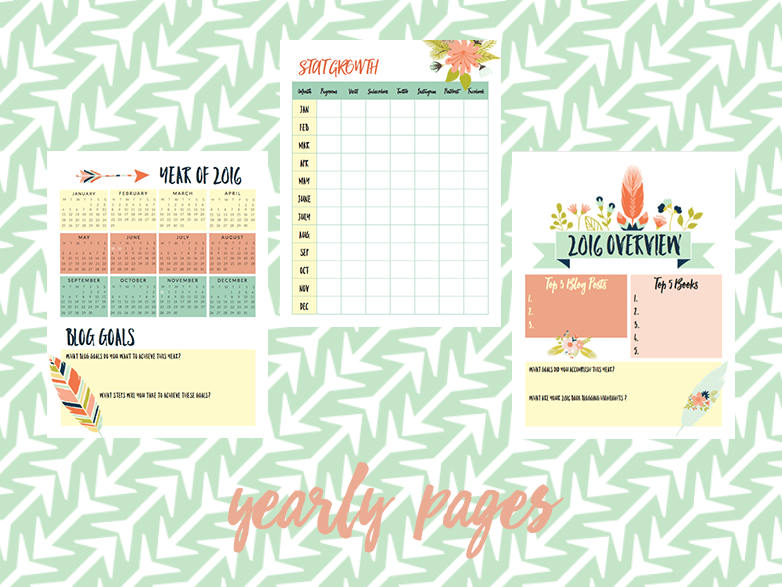 This has been such a fun project to work on and I really hope y’all will find it useful as you get ready for the new year. 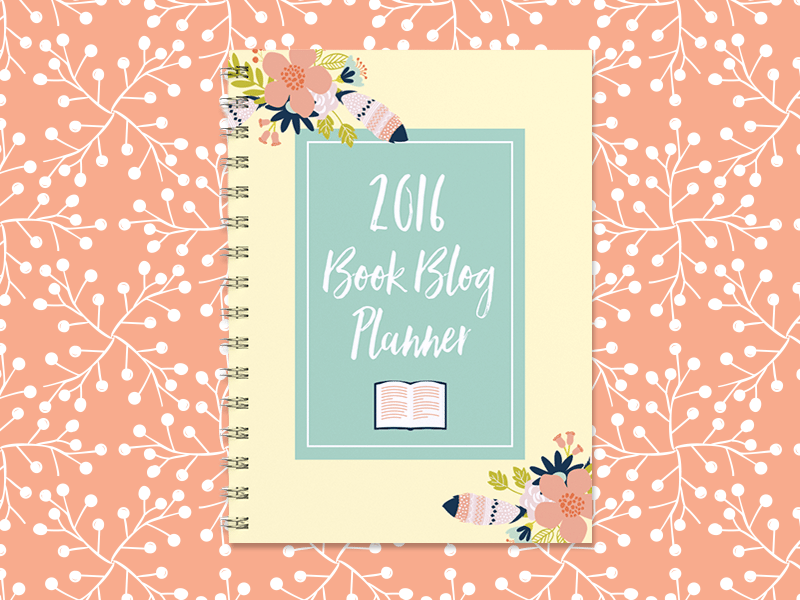 2016 is bound to be an exciting blogging year with all the plans and goals you can keep track of with this planner! Buy at the digital shop now! Your design is lovely, Hazel! 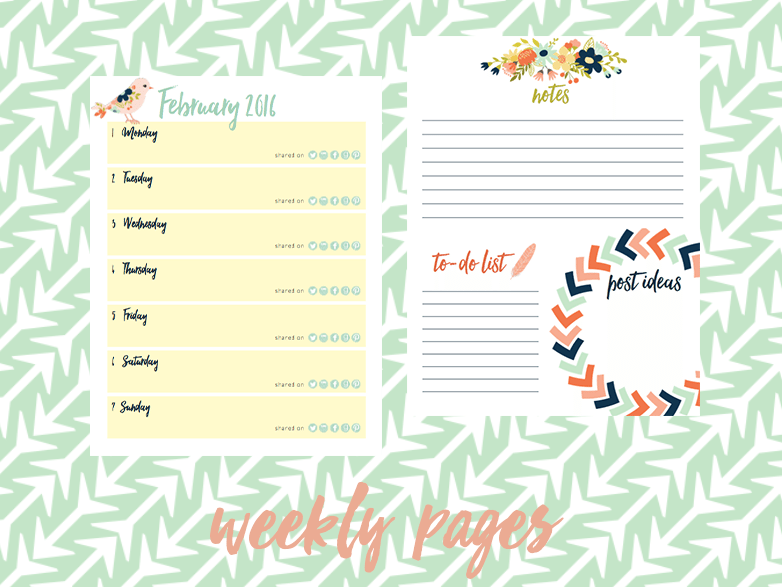 I definitely think setting this up as your first digital product was a great idea, and I think a lot of people will certainly benefit from using your planner (especially with all the great sections you’ve included)! This is so cool and handy Hazel! Thanks for sharing! This is beautiful and looks like it would be very helpful! I may just have to buy this for myself for Christmas. It would be a good step towards my new years resolution of being a little more organized! Ahh thank you for your kind words, Kay! 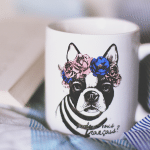 It would be a pretty great Christmas gift for book bloggers like us, right? ;) 2016 is gonna be a fabulously organized year for sure! Ooh what a lovely creation! I absolutely adore it, Hazel! I think I might just get myself one to help me stay organised for next year. Wow, this is absolutely beautiful! 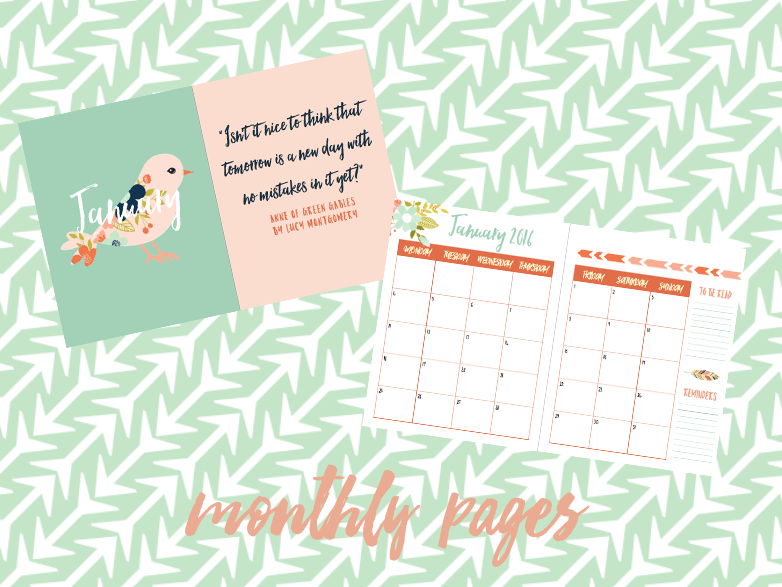 My blog is a little all over the place right now, so hopefully, I can turn over a new page (yes, page NOT leaf because why use a mainstream joke when you can use a bookish one) next year if I get this planner! Hopefully I win it, but if not then I can always cajole/bribe/threaten my piggy bank until it spits out some money. I’m seriously thinking about buying this!! How many pages is it? This is such a cool idea! I love the design and it looks like it’d be really helpful for blogging. Looks fabulous. But is it designed for just book bloggers?